The police department in St. Paul, Minnesota, faced a tough call this year. Their motorcycle officers and historic equestrian unit (dating back to 1865!) were popular with the community. But new challenges, like the rise of distracted driving and increased injuries for officers on motorcycles and horses, prompted a drastic reorganization within the department. “In an effort to improve efficiencies, effectiveness and better respond to emerging public safety concerns,” the SPPD ultimately chose to end its Mounted and Motors units. The move affects 12 officers, who will be moved off their mounts and into patrol cars. The SPPD explained the reasons for ditching the bikes and horses. First, calls for service have increased in Saint Paul, and the SPPD mostly needs patrol cars to dispatch these calls, not bikes or horses. Then there’s officer safety. “Mounted and Motors officers are hurt more frequently than traditional patrol officers — and their injuries tend to be more severe,” said Saint Paul police spokesman Steve Linders. Yeah, you read that right. The SPPD says it’s too dangerous for their officers to ride motorcycles, and distracted driving is part of the problem. Here’s the good news. 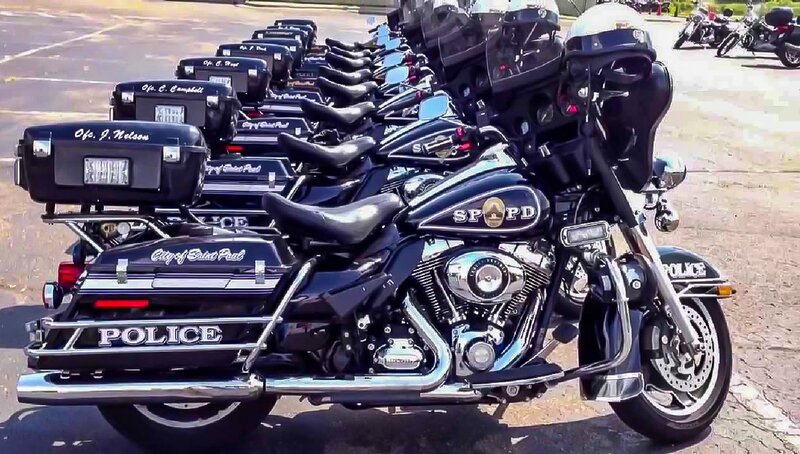 Some of the officers from the disbanded motorcycle unit will join a new unit that specifically targets distracted drivers. The SPPD records show more than 500 crashes involving pedestrians and bicyclists in just the last two years. Too many of these crashes involved distracted driving, leaving hundreds injured and six dead. Additional crashes involving motorcycles only add to the city’s safety concerns. The SPPD hopes their dedicated anti-distracted driving units will bring those numbers down. After all, distracted driving laws don’t mean much if they go unenforced.